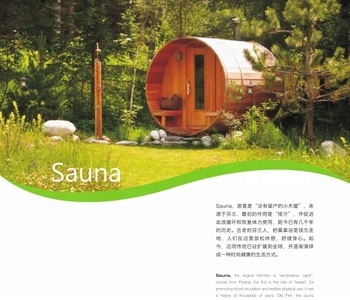 Each Barrel Sauna comes partially assembled and features stainless steel hardware, thick tempered glass, and high-grade softwood with smooth edges. 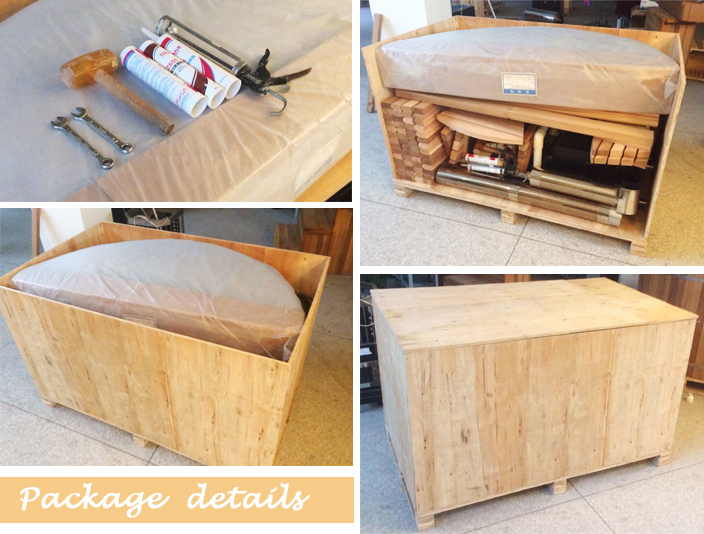 Here at "Coasts" Saunas, we excel at providing a complete package characterized by strict attention to detail. 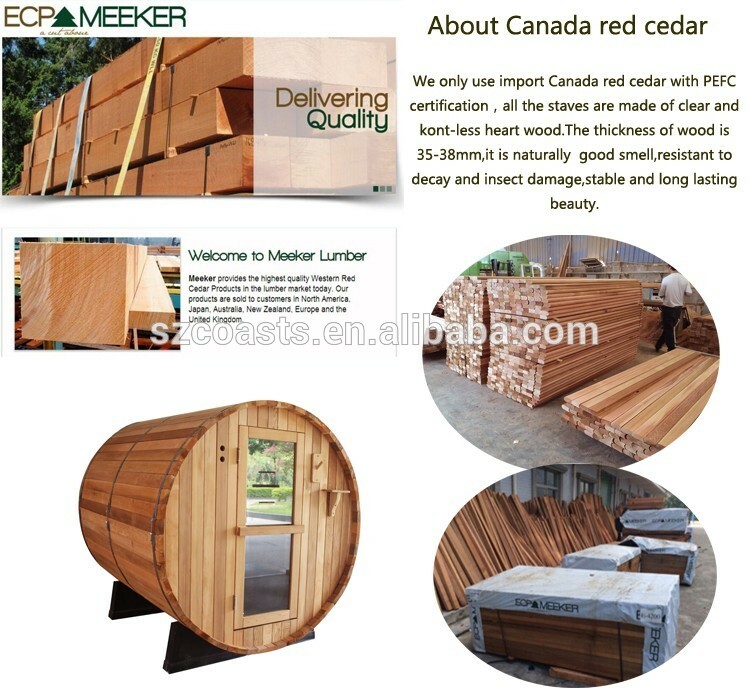 Our standard Barrel Saunas are available in Rustic Western Red Cedar, or Clear Western Red Cedar. Our High standard Barrel Sauna comes with an appropriately-sized stainless steel heater, stones, bucket, ladle, and combination thermometer/hygrometer so that you may begin enjoying the authentic sauna experience as soon as assembly is complete. These saunas will heat to as much as 195F in under an hour.